Check out these cold weather tips for Horse Owners. A horse needs more calories in cold weather just to keep warm. High-quality hay is the most important component of your horses’ winter diet. They need dry fresh hay available at all times. Older horses, who cannot chew hay well, can get their calories from senior feeds that contain beet pulp. Fiber is digested in the hindgut where the heat produced from digestion helps to keep the horses warm. “When a horse digests long-stem fiber (hay), microbial fermentation occurs and heat is created,” says Brian Nielsen, Ph.D., professor, and researcher in equine exercise physiology and nutrition at Michigan State University. “This has a benefit to the horse in times of cold weather because fiber is digested slowly, and heat is sustained for quite a long time.” Although Nielsen says that it’s difficult to pinpoint a precise amount to feed, an extra flake of hay on a cold day is a good rule of thumb. 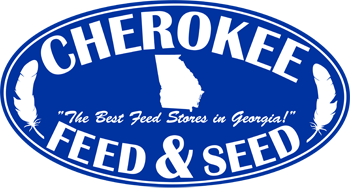 Cherokee Feed & Seed has all kinds of hay in both round bales and square bales to keep your horses warm. Our hay is high quality horse hay. With all that hay your horse is getting, it needs water to keep it from becoming impacted. Heated water troughs and buckets will keep water from freezing. If you do have water heaters, break the ice in a large circle but leave the rest of the surface frozen. This frozen area will act as an insulator and help keep the water from freezing again. Check to make sure the circle has not frozen and keep breaking the ice so your horses always have access to fresh water. Make sure your horses can get out of the wind and wetness. Provide either water-proof/breathable blankets or have a shelter for them. Cold weather is not the problem, rather wind and moisture – so protect them from the elements. Make sure that all the horses can get into the shelter and that a dominate horse is not keeping the others out. If you blanket your horses, make sure to check under the blankets for weight loss, rain rot or sweating. Also, check for kick marks or signs of injury. 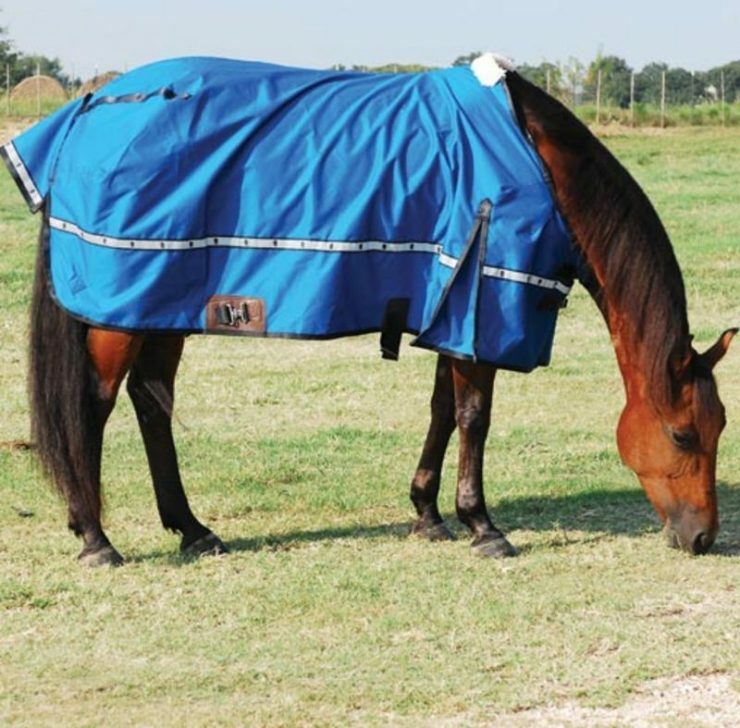 A blanket can hide an important condition that needs to be addressed for the horses’ safety. We carry senior feeds from Purina, Triple Crown, Nutrena, Legends, Seminole and Seminole Wellness. Our staff attends ongoing training about horse feeds and they can help you choose the best feed for your situation. Give them a call today. This entry was posted on Sunday, November 18th, 2018 at 1:25 pm	and is filed under Articles, Front Page, News. You can follow any responses to this entry through the RSS 2.0 feed. Both comments and pings are currently closed.